Parkdale’s willingness to invest and forward-looking thinking have set the company on a path for the next 100 years. Cotton has played a large role in the history of the U.S. textile industry, and the U.S. cotton supply chain is one of the most well developed in the world. 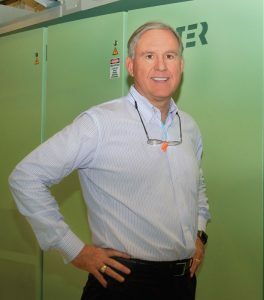 One of the largest influential players in the U.S. cotton supply chain is yarn spinner Parkdale Mills Inc., Gastonia, N.C., today operating with Chairman and CEO Anderson D. “Andy” Warlick at the helm. Parkdale was chartered 1916, and began turning the first spindles in 1918. The first year, Parkdale produced 425 tons of thread in one manufacturing location. Fifty years after the charter, the company opened a second plant, Parkdale Mills Plant #2 in Gastonia, which doubled the company’s production capacity. Today, the privately-held company operates 25 plants, in addition to research and development and distribution centers in the United States, Mexico and South America. Cotton will always play a significant role at Parkdale, but there is a lot more to the Parkdale story than just cotton. Over the years, Parkdale has embraced automation technologies in all of its operations. Parkdale is committed to technology and adopting innovative solutions to stay competitive. The company is known for seeking technology and driving innovations in yarn spinning. One example of the company’s forward way of thinking is the redesigned sliver can Parkdale uses. The company worked with a supplier to redesign the shape and increase the size of the standard sliver can to increase efficiency by reducing the number of can changes. 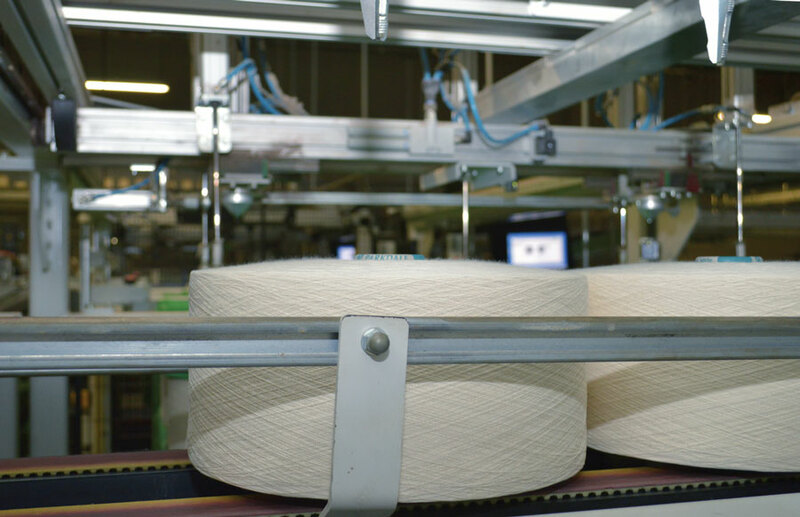 According to Rieter America LLC — a Spartanburg, S.C.-based supplier of systems for short-staple fiber spinning — Parkdale has been a very open minded customer, and one that is always open to new products and innovations. “The company actively seeks technology, and is an early adopter of technologies when it makes sense to Parkdale and its customers,” said Thomas Kuettel, president and CEO, Rieter America. “Parkdale adapts steadily to changing market trends and requirements to remain one of the market leaders. One of the biggest reasons Warlick sees for Parkdale’s continued success is the company’s willingness to adopt automation technologies. Automation also helps address the increasingly difficult time the industry has in finding qualified, trained employees who are willing to work in manufacturing. According to Warlick, Volvo — a company with name prestige and offering good wages — has a difficult time attracting qualified technical help for a new plant in Charleston, S.C.
Parkdale is recognized as the largest consumer of U.S. cotton, which it uses in its yarns and health and beauty aid products. In 2007, Parkdale acquired U.S. Cotton, a manufacturer of cotton health and beauty aid products. This expansion allowed Parkdale to grow, and to leverage its existing cotton supply chain without creating conflicts with its customers. However, the price of cotton peaked at historically high levels in 2011. This price hike, coupled with competition from ever-improving man-made fibers including polyester, led many spinning companies to change their product mix. Parkdale was not alone in its move to develop blended yarns, and also recognized that polyester yarns and blends are here to stay even as the price of cotton has dropped. Most recently, Parkdale Advanced Materials Inc., an innovative fibers and yarns division of Parkdale, announced a partnership with Hayward, Calif.-based Intrinsic Textiles Group LLC. The two companies have formed Intrinsic Advanced Materials, a joint venture company to commercialize CiCLO™ Sustainable Textile Technology. Intrinsic Textiles Group developed CiCLO as an answer to the plastic microfiber problem as well as to reduce the amount of plastic accumulation in landfills caused by discarded textiles. The U.S. Environmental Protection Agency reports approximately 5 percent of mass in landfills is textile waste. More than 60 percent of textiles produced today are made using man-made materials, which translates into more than 40 million pounds of man-made textiles hitting the landfill in the United States alone, according to Intrinsic. The amount of microfiber pollution in oceans has not yet been quantified, but early studies and mounting evidence suggest it is an issue that requires further study and attention. The CiCLO technology, when incorporated in man-made materials such as polyester during manufacturing, allows these materials to biodegrade in a way that is similar to natural materials when in wastewater treatment plant sludge, seawater and landfill conditions. Warlick has become one of the most respected leaders in the textile industry, after leaving Milliken for Parkdale in 1984 to work for his father-in-law, the venerable Duke Kimbrell. As for the future of Parkdale’s leadership, the company has a strong team of executives, most with many years of service. Charles Heilig runs Parkdale Mills and John Nims leads the U.S. Cotton business. Warlick’s own son, Davis Warlick also is learning the family business from the ground up as his father once did. Currently, Davis manages Parkdale International and is responsible for the businesses in Mexico and Colombia. “I view industry leaders as companies that take a cutting edge role in regard to innovation and are quick and responsive in terms of investment, investing even in difficult times when most people would be conservative,” said Augustine Tantillo, president and CEO, National Council of Textile Organizations. “But also from a policy standpoint, Parkdale has been a leader in the policy arena for decades. And that comes from an embedded view and understanding that government policy is critical in terms of creating that environment that makes it conducive to manufacture in this country and specifically to produce textiles, and I think it’s for that reason that Andy has been a highly engaged member of NCTO. He’s a past chairman of NCTO, he serves on our board and he has had no interest in delegating these responsibilities even though he’s running a multi-billion dollar business. Because he wanted a hands-on approach to how Washington was viewing our industry and decisions Washington was making in terms of impacting our industry. “In the arena that I operate in, he’s been an outspoken, highly engaged and critical leader with a very hands on approach to the policy making process, that has benefitted not only Parkdale, but the industry as a whole to have that kind of engagement and leadership. “Andy is a private person, and does a lot of things very low profile, but that doesn’t mean he’s not intensely engaged,” Tantillo said. “I think that’s what might confuse some people at first because while we don’t see the big press campaign with Parkdale, that doesn’t mean that there isn’t any lack of intensity. “It is a very personality driven company,” Tantillo continued. “Andy is a very significant personality in the sense that he knows what he wants and he knows the vision for the company. So he has had a major impact on shaping and on the course for Parkdale. “As an example of his lower key personality, Parkdale celebrated its 100th birthday recently, and you would not have known it. Andy’s view is hey, I’m looking to the future. Yep, we’re celebrating 100 years, and that’s a great accomplishment, but it’s the next 100 I’m focused on,” Tantillo concluded. “I think if you’re trying to maintain the status quo, then you’re going backwards,” Warlick said. An ancient Arabic proverb states: “What is coming is better than what is gone,” and this certainly seems to be the case for Parkdale. Would we, as a nation, accept that U.S. Olympic athletes had to run a 120 meter race against the world running 100 meters? We certainly would not, yet this ignorance has been accepted and promoted by some of the most respected economists in our country! The world of trade sans the U.S. is a mercantilist trade environment. One of the great disappointments that I have is that we’re not growing this hemisphere as far as output is concerned. The greatest challenge is keeping business in this hemisphere. We do not have the growth in knitting, weaving, or dyeing and finishing to grow in this hemisphere. We need new investment downstream or else we will experience negative growth as a yarn industry. 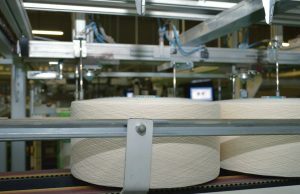 Yarn plant investments are expensive and a fashion shift from ring spinning to open-end spinning, or from open-end to ring, can strand a lot of capital and cause plant closures. In addition, energy costs — which have always been one of our advantages — are starting to go up double digits and that’s going to continue, taking away competitiveness. Hopefully, these issues can be addressed in the near future.